“MAKE A FIST,” says Jerry Hayes, waving his own in the air. Under a microscope, a varroa mite is a monster: armored and hairy, with eight legs and one piercing, sucking mouthpart, primordial in its horror. Since the parasite arrived in the United States from Asia in 1987, the practice of tending bees has grown immeasurably harder. Beekeepers must use harsh chemicals in their hives to kill the mites or risk losing most of their bees within two to three years. About a third of the nation’s honeybees have died each winter over the past decade, and Hayes, an apiary scientist, believes the varroa mite is a major factor in this catastrophe. Hayes’ audience, however, believes something else. SXSW Eco is a conference for environmentalists, and these attendees are not inclined to blame the honeybee’s problems on an obscure arthropod. They’d rather blame Hayes. That’s because Hayes works for Monsanto, the St. Louis-based agricultural behemoth that environmentalists love to hate (and, I should add, the sponsor* of this panel, which I am moderating). Hayes is 62, lined and sinewy, his hair still dark. A gray-dappled beard frames his chin in such a way that his head seems to form a perfect rectangle. He doesn’t seek attention. He doesn’t talk about his feelings. As Walter continues, Hayes sits on the dais with his hands folded in front of him, silent, uncannily still. For eight years before he joined Monsanto, Hayes ran Florida’s Apiary Inspection Section, which regulates the state’s bees and their keepers. More than 300 of Florida’s 4,000 registered beekeepers move their hives into the state for the winter—“like people from New Jersey,” Hayes says—and then, as spring approaches, pack them on trucks, 480 hives per semi, and head west and north to pollinate almonds, cherries, apples, blueberries, cranberries, vine fruits, pit fruits, onions, legumes—over $15 billion of US crops a year. “We didn’t know what this was,” Hayes says, “but we had to give it a name.” They called it colony collapse disorder. At summer’s end, those trucks return to Florida, carrying not only bees and honey but also viruses, bacteria, mites, beetles, ants, and fungi the bees picked up along the way. Hayes’ inspectors were tasked with intercepting those pests and pathogens before they spread to the rest of Florida’s—and the nation’s—bees. Add this to the list of weird stuff that happens in Florida: It’s where major honeybee plagues tend to begin. Hayes was good at the job. Florida beekeepers came to see him and his 14 inspectors as allies rather than adversaries. “I didn’t want us to be the bee police,” he says. 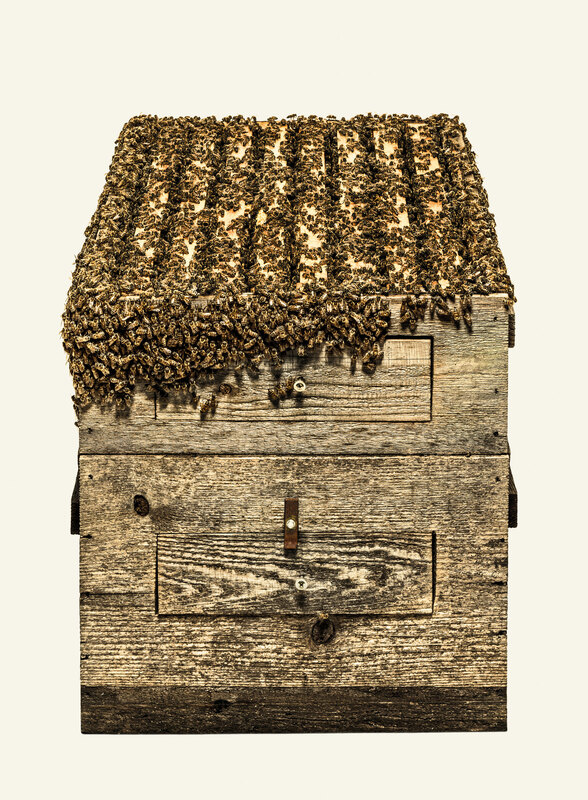 In 2006, Hayes was elected president of the Apiary Inspectors of America. That same year, a commercial beekeeper in Florida named David Hackenberg discovered that his apparently healthy bees had disappeared and reported it to Hayes. Other beekeepers had similar accounts. Late one night, as the losses mounted—the nation would lose a third of its bees that winter—Hayes got on the phone with a group of alarmed entomologists. “We didn’t know what this was,” Hayes says, “but we felt we had to give it a name.” They called it colony collapse disorder. By early the next year, the Internet was abuzz with theories about CCD. It offered a litany of dystopian ecological conspiracies: cell phones interfering with bee navigation, or genetically modified corn syrup, or neonicotinoid pesticides. But no one really knew. AROUND THAT TIME, Hayes went to a seminar about a gene modification technique called RNA interference. DNA is, of course, the spiraling, double-stranded molecule that encodes genetic information and determines everything about us: whether our eyes are blue or if we’re more likely to suffer a particular cancer. But the genome also relies on RNA—the single-stranded version of genetic code used in the protein factories of the cell. RNA can also “silence” specific genes, preventing an organism from using them to make proteins. In 1998 scientists discovered that they could engineer stretches of double-stranded RNA to do the same thing. As a lab technique, RNA interference—or RNAi—turned out to be useful for learning about genes by turning them off. It also showed promise in fighting viruses, cancers, and even harmful pests and parasites. The researchers at the seminar were talking about using RNAi to prevent mosquitoes from spreading malaria, but that gave Hayes another idea. “I thought, could this be adapted to honeybee predator control?” In other words: to kill mites. An Israeli company called Beeologics was thinking along similar lines. Beeologics’ president, Eyal Ben-Chanoch, didn’t actually know much about bees. But he knew people were worried about CCD, and he thought that a product aimed at fighting it would garner attention for his company. So he directed his researchers to look at using RNAi to control a bee disease that seemed related to CCD called Israeli acute paralysis virus. Ben-Chanoch heard that Hayes had been asking about the technology at bee conferences, got in touch, and set up a collaboration on field trials in Florida. RNAi works like tweezers, plucking its victims with exquisite specificity by clicking into sequences of their unique genetic code. Beeologics soon got the attention Ben-Chanoch had hoped for. News stories about the company’s forthcoming “affordable cure” for CCD attracted the eyes of executives at Monsanto. The company was already working on an RNAi-enhanced corn plant, engineered to disable the maize-eating Western corn rootworm, and researchers there saw even more potential. Traditional pesticides act like chemical backhoes, killing their targets (beetles, weeds, viruses) but harming good things along the way (beneficial insects, birds, fish, humans). RNAi, in theory, works instead like a set of tweezers, plucking its victims with exquisite specificity by clicking into sequences of genetic code unique to that organism. “If you could design an ideal pesticide, this is the stuff you’re looking for,” says Pamela Bachman, a toxicologist at Monsanto. The problem was that synthesizing RNA was too expensive. But Beeologics found a way to do it at a relatively low cost and was testing it in Hayes’ Florida beehives. In 2011, Monsanto bought Beeologics and its RNAi tech and offered Hayes a job explaining it to beekeepers. HAYES HAD SERIOUS reservations. He was happy in Florida. So was his family—his wife, Kathy, and their four children, two of whom were still in school. And he liked being an apiary inspector. The beekeeping industry was small, and he knew all the players. Monsanto had 22,000 employees, few of whom knew anything about honeybees. “Beekeepers look at Monsanto and other Big Ag companies as the enemy, spraying chemicals and killing bees’ forage,” Hayes says. He would be a lonely voice there: a man who loved insects in a place where insects are the enemy. He had other concerns. There was the company’s nickname among eco-activists: Monsatan. And its lofty ranking on any list of the world’s most despised corporations. There were the muckraking documentaries (Seeds of Death, GMO OMG), the Twitter hashtag (#monsantoevil), the protest groups (Occupy Monsanto, Bee Against Monsanto). There were the rumors of farmers in India driven to suicide by GMO-incurred debt, the tales of sullied gene pools and browbeaten scientists and university stooges and journalist shills and Brobdingnagian government influence. The rhetoric offended Hayes’ sense of fairness. He knew that environmentalists linked colony collapse to neonicotinoid insecticides and that they thought Monsanto was somehow to blame. But he also knew that Monsanto doesn’t make insecticides. The company’s most famous product, glyphosate—that’s Roundup—kills plants. Its second-most famous product—Roundup-ready seeds—allows plants to resist its most famous product. There was a symbiosis there: Like flowers and bees, Monsanto and Hayes could exploit each other to their own ends. Nor was Hayes convinced that neonicotinoids explained honeybee losses in the first place. When neonics came to market in the 1990s, farmers and environmentalists welcomed them as far less toxic to birds and mammals than earlier insecticides. Some studies raised concerns about sublethal effects on honeybees like impaired navigation, reproduction, and immune systems, but larger field studies didn’t. Hayes came to realize that the same elements that cause people to loathe and fear Monsanto—its size, its resources, its influence on agricultural practices, its headlong embrace of futuristic technologies—presented an opportunity. “It has more money than any group that I’ve ever worked with,” he says. As for Monsanto, “we wanted the process”—the RNAi technology—says Billy Brennan, the company’s international communications manager, “but we saw a tremendous opportunity to support honeybee health.” People were worried about dying bees; the company could show it was trying to help. There was a symbiosis there: Like flowers and bees, Monsanto and Hayes could exploit each other to their own ends. Hayes and his wife had converted to Mormonism after their first child was born. And though he joined the church too late to travel the world preaching gospel, he nonetheless sees himself as a missionary. He wants to make a difference. “So,” he says, “I decided to stick my neck way outside of my shell.” He took the job. 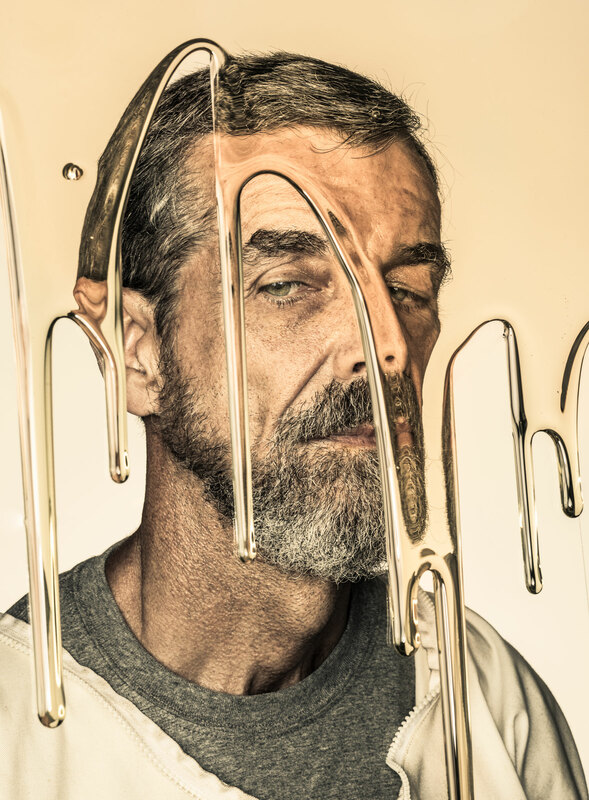 WHEN HAYES TOLD his beekeeping colleagues about his move, “there was a real feeling that he was selling out,” says Dennis vanEngelsdorp, the University of Maryland entomologist who was the first scientist to autopsy David Hackenberg’s CCD-ridden bees. “My internal question,” says Marla Spivak, an entomologist at the University of Minnesota and longtime colleague, “was ‘Huh, I wonder if he needs money.’” At an apiary inspectors’ meeting just before Hayes left his job in Florida, the group halted the proceedings to bestow upon Hayes a toy lightsaber with a red blade—the kind Darth Vader uses. “For joining the Dark Side,” vanEngelsdorp says. Hayes crossed over in January 2012, leaving Kathy and his two teenage children behind while he got settled. He found a property an hour southwest of Monsanto’s St. Louis headquarters—“I’m a country boy,” Hayes says—where he could keep a garden full of spinach and 30 beehives. At Monsanto, “I would think several times a day of running screaming into the parking lot,” Hayes says. It was a disorienting change. Monsanto wasn’t the Death Star—you couldn’t meet a Missouri-nicer group of people. But it was, Hayes says, “like coming to Mars.” In Hayes’ previous jobs, getting dressed up meant wearing a baseball cap that wasn’t covered in propolis and bee droppings. His new office was full of khaki-clad MBAs who talked about things like “matrix management.” The headquarters had a stark, midcentury style; in one auditorium the seats had ashtrays in the armrests. Getting approval for a simple idea—like placing beehives on the company campus—involved negotiating byzantine lines of authority. “I would think several times a day of running screaming into the parking lot,” Hayes says. It got worse. Hayes had believed that the RNAi product that killed Israeli acute paralysis virus was almost ready for market. But a few days after he started, Hayes learned that the product had recently failed its fifth FDA field trial. His position was still open in Florida, and his family was still there, waiting out the school year. Maybe he’d made a mistake. Perhaps, like Tommy’s autumn swarm in North Carolina, Hayes had listened to the stupid gene and pulled up stakes at the wrong time. “I almost went back,” he says. Yet Hayes still saw an opportunity. The Israeli virus was one of a number of bee viruses, and most of them entered hives via the same carrier: Hayes’ mites. “If you took care of the varroa mite, you took care of these eight or nine different viruses in one fell swoop,” he says. The mite, he believed, should be Monsanto’s ultimate target. Hayes asked one of his supervisors to help him work the bureaucracy, setting up meetings and preparing a PowerPoint presentation for their bosses. Hayes spoke about the varroa mite again and again, up and up Monsanto’s corporate ladder. It took dozens of meetings—“I did the whole ‘make a fist’ thing about 5 million times,” Hayes says. His proposition: A single virus was too narrow a focus. If Monsanto wanted to help bees, it should direct its considerable resources at Hayes’ small red great white whale. Hayes would consult on the technical work and join the company’s PR team, spreading the word about varroa mites and RNAi. The bosses signed on, and Hayes decided to stay. Stupid gene or no, “I didn’t ever want to be accused of not trying,” he says. Kathy and his two younger children joined him six months later. Six months after that, Kathy began feeling sick. She had been treated for breast cancer eight years before. But there in Missouri the cancer had come back, and it was everywhere in her body. She died in April 2014. We wind past a vast room of gene-sequencing equipment, through a greenhouse planted wall to wall with experimental corn varieties, down soundless underground hallways to a long thin lab with soapstone counters, where a team is focused on making RNAi work. On the counter are plants covered in nets and infested with Colorado potato beetles—a round, circus-striped superpest that resists 60 chemicals but could be vulnerable to RNAi. Next to the plants is a half-gallon jar of gleaming white powder. This is pure double-stranded RNA, enough to cover a few hundred acres. Making just this much cost around $100,000—still far too expensive for widespread commercial use. Around the corner, a lab assistant named Nick rattles a mesh-covered jar half-full of dead bees and varroa mites. It sounds like a dog shaking a collar. He turns the jar upside down and sifts a dusting of mites and bees onto the counter. Out at Monsanto’s hives, the bees ate sugar syrup laced with mite-killing RNA. Nick will test the mites to see if they picked up the RNAi product from the bees’ hemolymph, the blood equivalent on which the mites feed. Even if the Monsanto team can make a reliable varroa mite killer, environmentalists still won’t want it. Once Hayes’ team switched to varroa mites, they quickly identified genes they could turn off with RNAi. In the lab it was easy. “You can kill mites all day long in a petri dish,” Hayes says. But in the field the RNA doesn’t stay intact long enough to work through the bees and into the mites. Hayes estimates they kill only around 20 percent. That’s not enough. Beekeepers—Hayes’ constituents, his people—are also skeptical. In comments submitted to the USDA, the National Honey Bee Advisory Board argued that using the technology “would be more naive than our use of DDT in the 1950s.” DDT was the pesticide at the heart of Rachel Carson’s 1962 book, Silent Spring, which launched the modern environmental movement. Even if the team can make a reliable varroa killer, environmentalists still won’t want it. 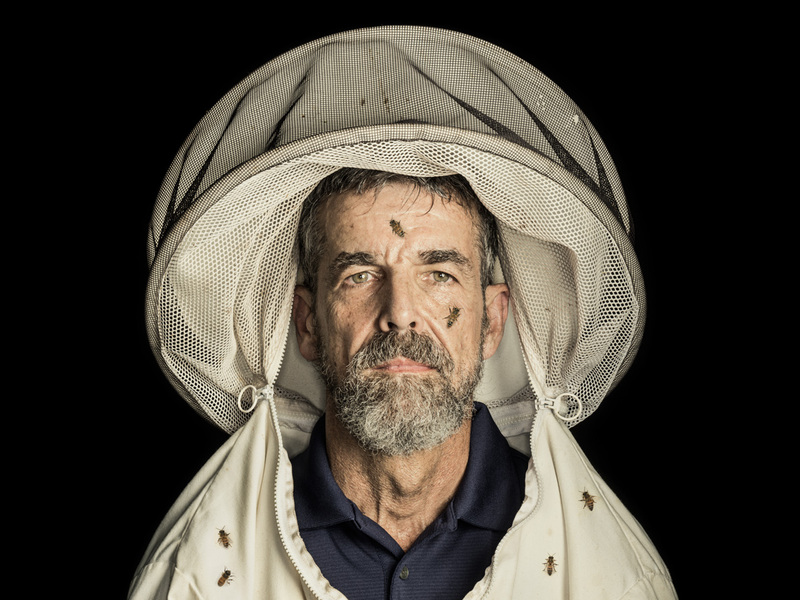 Hayes joined the team as “honeybee health lead.” Several times a month, he travels around the country speaking to bee clubs and conferences about Monsanto’s work on varroa mites. Hayes has made Monsanto a little bit more bee-friendly too. The company now has a beekeeping club. Hayes also helped set up a Honeybee Health Coalition of beekeepers, scientists, farmers, and farm-chemical companies, like Bayer and Syngenta. Dennis vanEngelsdorp, Hayes’ entomologist pal, was one of the first to sign on. Even the American Beekeeping Federation joined. The coalition does not include some of the most vocal anti-pesticide organizations, but Hayes did invite the insect-advocacy group Xerces Society. It dropped out, however, on the grounds that the coalition wasn’t serious about addressing the role of pesticides in honeybee losses. And that’s Hayes’ conundrum. He wants to talk about mites and disappearing forage and the vast and confounding spectrum of other threats to honeybees. Environmentalists mostly want to talk about neonicotinoid pesticides. It’s true, of course, that neonics can harm not only honeybees but also other living things. They are widely used in farms and gardens, flea collars, and extermination products, and they can persist in the environment for months or years. But neonics aren’t the only chemical honeybees contend with—not even close. One study found traces of 118 different pesticides in pollen, beeswax, and bees. Yet bees endure. When a colony dies—collapses quickly or succumbs slowly—beekeepers divide their remaining colonies, buy new queens, and grow populations back to full strength. Despite unremitting losses, the number of bee colonies globally has held steady. It has, indeed, been uncomfortable. Beekeepers have accused Hayes of poisoning the earth, contaminating the honeybee gene pool, and hawking genetically engineered “robobees.” Environmentalists have walked out of his talks; beekeeping clubs have feuded over his presence. “I have more scar tissue than I thought,” Hayes says. “MAKE A FIST,” Hayes says. Two dozen people sitting in a Southern Baptist church outside Durango, Colorado—members of the Four Corners Beekeepers Association—follow his instructions. This group is about as different from the crowd at SXSW Eco as one could imagine—older men in ball caps, women in boot-cut jeans. They aren’t trying to transform agriculture or save the world. They just like keeping bees. Recently a friend who hadn’t seen Hayes in a while told him he looked “kind of sick.” And it’s true. He’s thinner. The lines in his face are deeper. His youngest son left for Mormon mission in England last summer. Hayes is alone now. When honeybees encounter too large a gap within a hive, they use beeswax to bridge it. Hayes once believed—perhaps this was the stupid gene again—that he could build a similar bridge. “I was naive,” he says. He knows he wasn’t wrong about the mites. It was humans that he didn’t understand. *Monsanto paid travel expenses for the members of the panel, including the author, but had no financial involvement in this story.